They say a picture is worth a thousand words. Now imagine along with each motion alert you receive from the Meraki dashboard, you simultaneously obtain a snapshot image from the camera feed to validate the cause of the trigger. Or perhaps you just want to call up a snapshot from your camera because you got word of pesky gnomes drinking tea in your coffee bar… again. While you may not be trying to catch gnomes sharing a cup of tea together, the power of a picture extends into multiple situations and use cases. You can improve site visibility by accessing a snapshot of your camera feed on-demand from a simple text message, improve video analytics capabilities with third-party API integrations (click here for a cool example), or validate a motion alert with an attached image of the trigger event in your email notification. All of this and more is possible with the new Meraki MV Snapshot API. The Snapshot API is a new RESTful API endpoint available through the Meraki dashboard that allow you access to a screenshot from your live or historical video. Once enabled, your application can find your camera through an HTTP POST request specifying a unique network ID and serial number. The camera will respond with a snapshot and expiration date after which the image will no longer be available. How do you get started? 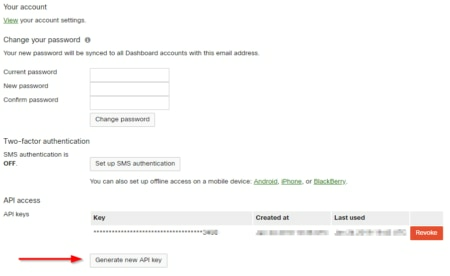 Like other Meraki dashboard APIs, API integrations begin by enabling your organization’s Meraki dashboard API access. If you haven’t already, do this by navigating to Organization > Settings, and clicking the checkbox to enable access to the dashboard API. Now, navigate to your profile page by clicking on your account name in the top right corner and selecting My profile. Find the section labeled API access and generate a new API key. Once generated, you can use the API key in your application and submit an HTTP POST request to generate the snapshot of your choosing. The Snapshot API has many applications, opening a huge array of cool use cases restricted only by your imagination. Get started by accessing documentation on Meraki’s dashboard APIs and let us know how you plan on using this new API in the Meraki Community pages.